^ "Guitarist Ron Wood Collects Stamps". Linn's Stamp News: 15. January 30, 2006. ^ "My horse Sandymount Duke just won at Listowel 40-1 !!". 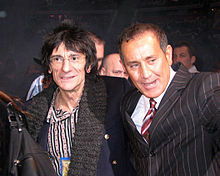 Ronnie Wood. 2014-09-17. Retrieved 2018-12-05. ^ "Horse Profile - Sandymount Duke (IRE)". Sky Sports. 2017-08-02. Retrieved 2018-12-05. ^ "Grand National 2019: Ronnie Wood, Sir Alex Ferguson enter horses in race". BBC Sport. 2019-01-30. 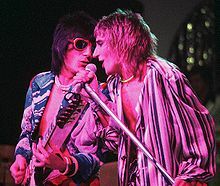 ^ "Ronnie Wood and stars aiming for Aintree glory". The Jockey Club. 2019-01-30.